#1 Local Plumber Near You! 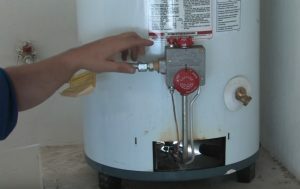 Water Heater Installation & Repair in RIVERSIDE and its AREA! Competitive Pricing with NO Call-Out Fees! 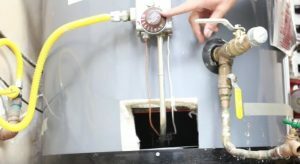 Do you need a water heater repair in Riverside? Whether it is a tank-less or a gas heater repair we can fix it. Riverside Plumbing has been THE plumbing experts for 25 years. No matter what the problem is or when it occurs – day or night, weekends or holidays – we are available to assist you 24/7, satisfying all your needs. 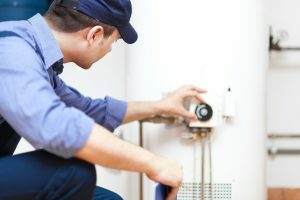 Our wonderful staff is experienced in fixing gas, electric, and tank-less water heaters and are the most knowledgeable in the business when it comes to repairing them in the Riverside area. Both residential and commercial customers turn to our company for their plumbing needs because we understand that your home or business is important to you and we want to help you protect it. Your heater is a central part of your home plumbing system and when it is time to fix this essential device you want it done SAFELY and CORRECTLY. Whether it is an emergency involving a leak, improper water heating to your faucets and appliances, or a one-time service to clean and flush out your tank we are the company to provide solutions to all your problems in the Riverside area. Available 24/7! We are a local company, right here in the community, so we are committed to providing quality and friendly service. Since we are also part of this great area, and are so devoted to the community, trust us for all your problems. So, next time your heater is functioning improperly or has shut down altogether don’t call an impersonal company that is not invested in where you live. Call us, a local business with the experience you need. We are a company dedicated to quality not only in the service we provide but also in the relationships we build within our community. There are many different types of heaters (tank-less, conventional, hybrid, gas, solar units, electric powered, pump systems) and we have a staff trained to service ALL types and brands of them. The first step is knowing what type you have in your home. Conventional ones, or “tank ones”, are the most common systems. These heat large amounts of water (30 to 50 gallons typically) and store it so when you turn on your sink or appliance the water is already heated and ready in the storage tank any time. Usually these systems are heated by a gas or electric heating element. The typical life span of a conventional ones averages about 10 years. Then, you should look around a new one. Consumer Reports wrote a great buying guide a few months ago. Definitely worth the read. Tank-less ones are slightly less common but are growing in popularity. This is mainly due to the energy efficiency of these systems. Instead of storing large quantities of water, tank-less systems heat water as needed. This means when you turn on your faucet or appliance for hot water the cold water running through the pipes passes through a tank-less one and is heated on demand. The average life span of a tank-less heater system is around 20 years. Our professional plumbers in Riverside can service solar units, pump systems and hybrid systems – with the expertise that comes with 25 years of experience in the business. Our Licensed and Insured staff is available 24/7 to help you with all your needs. It is very important to call a trained specialist as soon as you suspect an issue with your heating system. If any of these problems occur call our company and our specialists will come out and fix the issue. The AAA Plumbing policy means you do not pay a call out fee and the consultation is usually free! We are a locally owned and operated business with competitive pricing that is privileged to provide all of Riverside’s plumbing needs. Don’t wait to call us – 24/7 – if you suspect your heater is not functioning properly. These are complex systems that have the potential to cause major damage to your home if they are not maintained and repaired properly. So, at the first sign of a water heater problem give us a call and we will make sure your home and property are protected from any damage that might be caused by these systems. Please, read also these tips on how to maintain it properly. We are a locally owned and operated company, so we know the difficulties of running your own business and the importance of establishing relationships with reputable companies to provide you with professional service. Whether you run a retail business, office complex or warehouse a heater is an essential part of your business operations. These may include high capacity tank systems or commercial tank-less systems powered by either gas or electric elements. We are equipped to service all your plumbing problems. Plus, our 24/7 availability and rapid response time ensures your business operations will be properly up and running again as quickly and efficiently as possible! If you are looking for a water heater repair in Riverside, call us now. We repair, service and replace all types with the friendly professionalism.